For the first challenge of the year, we decided on 'Marble'. 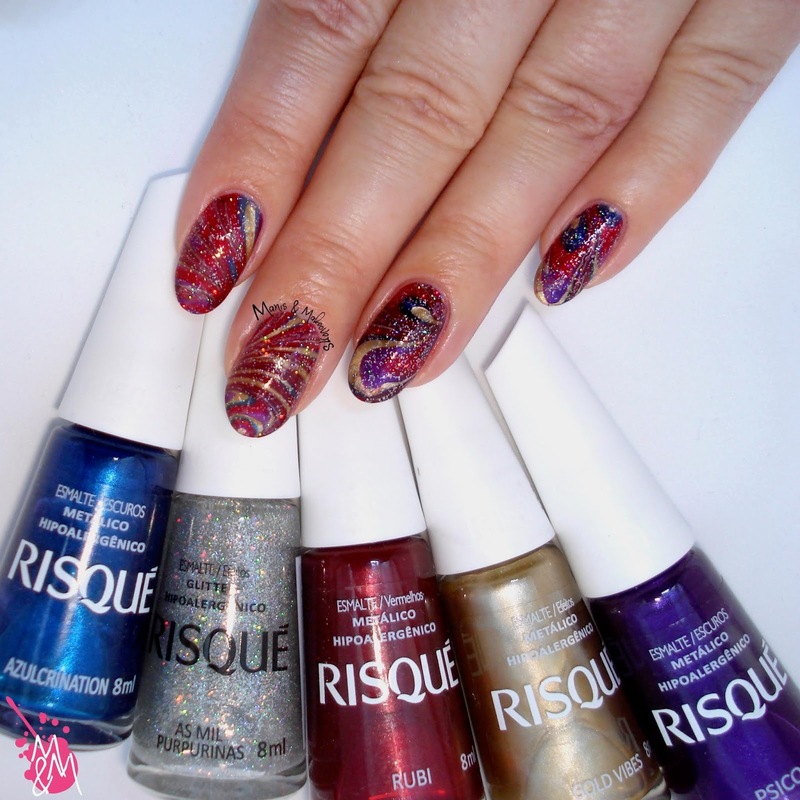 Over the years, folks have been coming up with many ways to create marbled nails, the most famous of which is water marbling. I've never been good at it, but I thought I'd give it a try with some new polishes my sister gifted me for Christmas, that she bought in Brazil. Yay for exotic polishes! I have to say that this is one of my more successful tries, so I'm quite pleased! The polishes marbled marvellously, I'm so happy I thought of using them! Thanks, sis, for these beauties! What do you think? 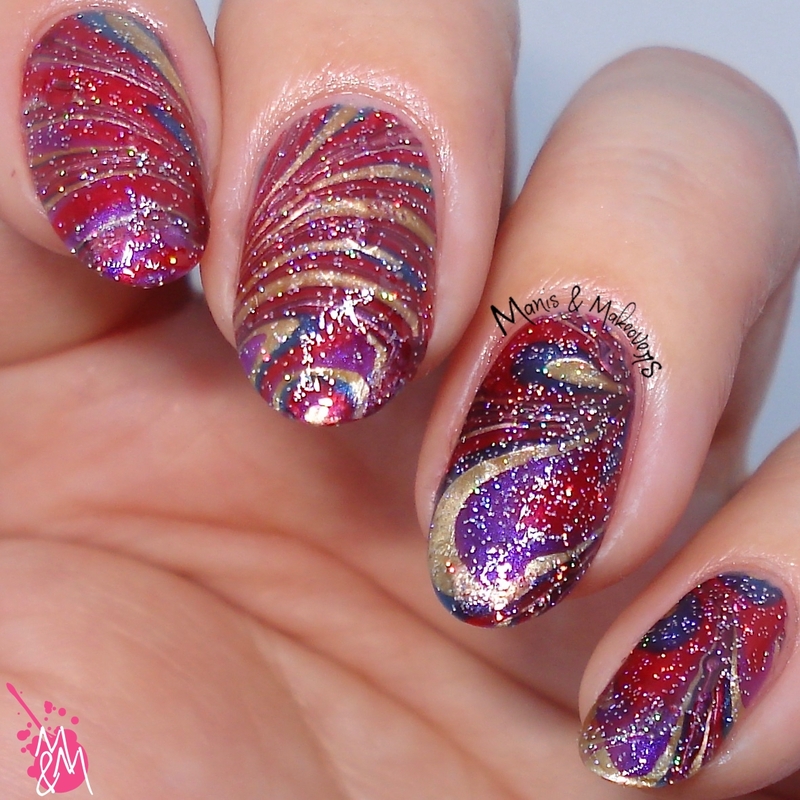 Did you ever try water marbling? In any case, take a look at the links below to see the beautiful marbling of the other ladies! You did a great job with these. I have a love/hate relationship with watermarbling so I'm always happy to see when it actually works out. These colors look so festive together! 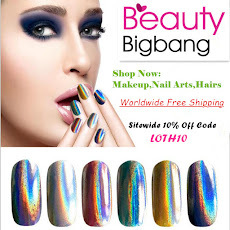 It's so fun to get international brand polishes! 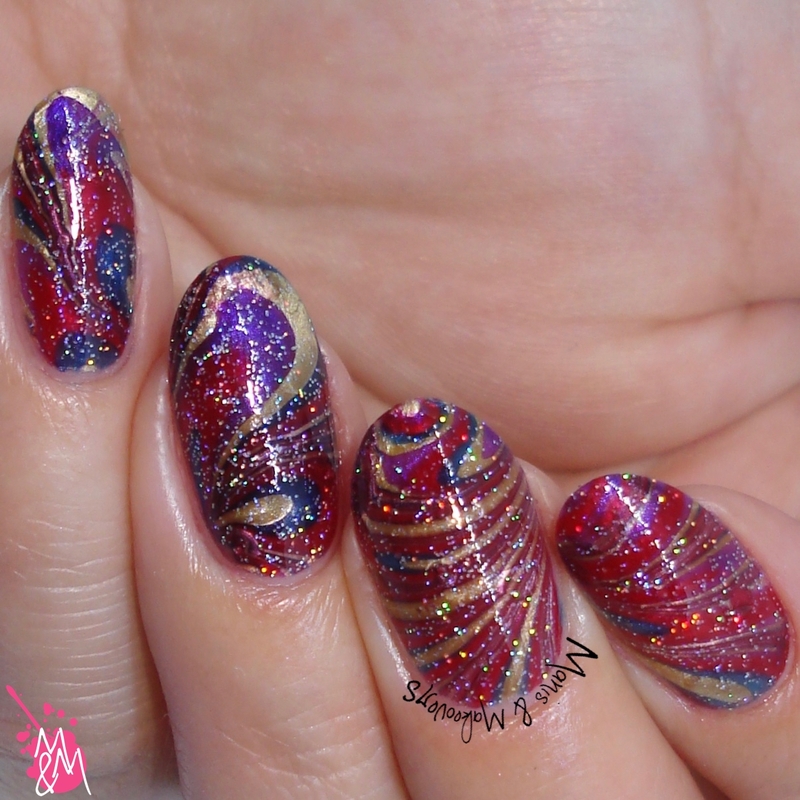 These created a fabulous water marble. 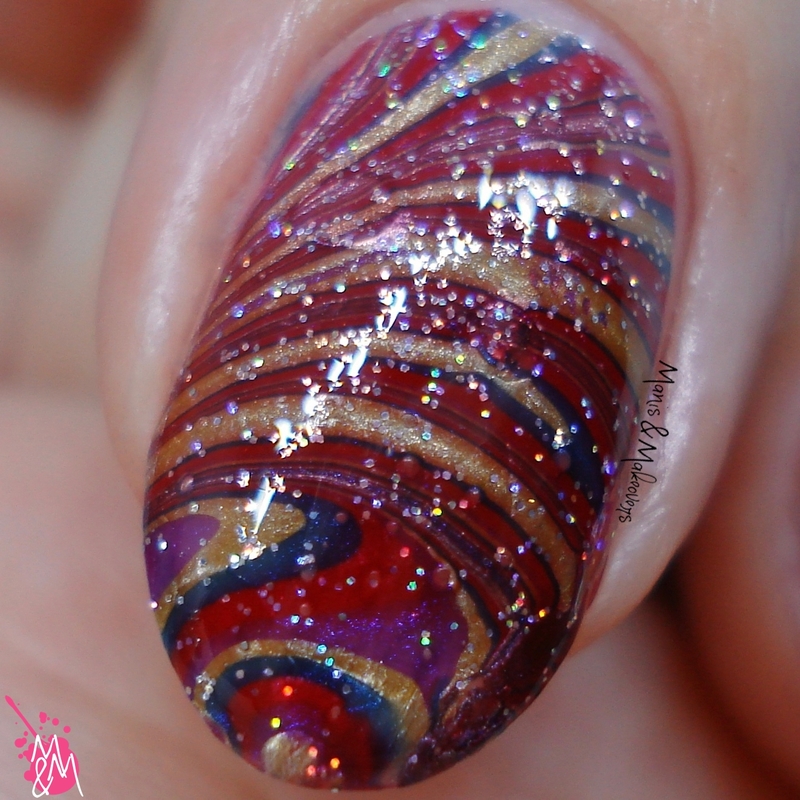 Hooray, this is an absolutely perfect water marble! 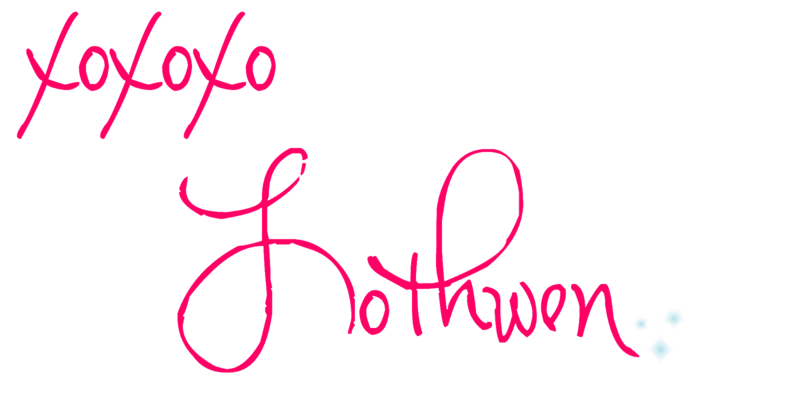 You should do these more often! The end result is amazing. I love the color combo too. I love this so much! Stunning! I LOVE the glitter on top! such a perfect idea!